With the new W.O.R.D. Center—the future home of AFCOE—now under construction, Amazing Facts did not offer the four-month AFCOE Complete course in 2018 and 2019. However, after completion of the new building, we expect to resume onsite AFCOE classes in 2020. We will be announcing when these onsite courses will be available so stay tuned! 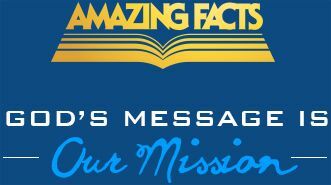 In the meantime, we hope you will consider participating in the Amazing Disciples online course developed by the AFCOE team. Based on our renowned Center of Evangelism program, its purpose is to provide you affordable, convenient, and, most important, in-depth and empowering Bible and outreach training! As a student, you’ll be able to study from home, learn at any time, and become a confident, effective soul winner in your community—or wherever God calls you to be His amazing disciple! Your training will focus on Jesus’ own method of evangelism, giving Bible studies, answering objections, conducting church prophecy seminars, finding and leading seekers from interests to baptism—but that’s really just the tip of the iceberg of what you’ll learn, gain, and experience!